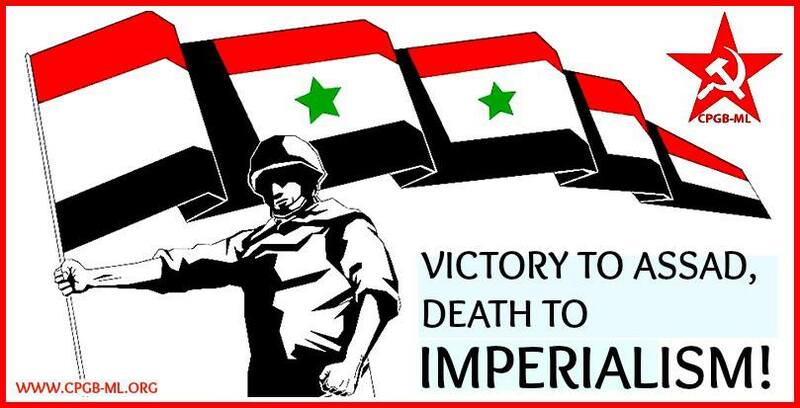 DEFEAT THE MURDEROUS IMPERIALIST PREDATORY WAR AGAINST THE SYRIAN PEOPLE! 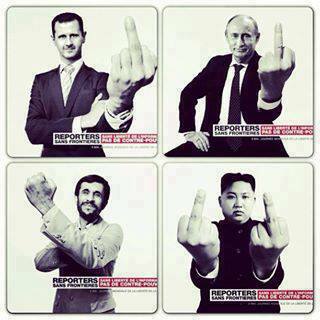 WAR AGAINST THE SYRIAN PEOPLE ! Having failed miserably in its attempts to overthrow the Syrian government through its jihadist terrorist mercenaries, imperialism is in the final stages of its preparations for a direct military onslaught against the people of Syria and their lawful and popular government. By a concerted campaign, orchestrated by its political and ideological representatives, duly assisted by its gigantic propaganda machine – a veritable host of TV and radio stations and thousands of newspapers – which spews out non-stop lies about its intended victim, imperialism has built up an unstoppable momentum for yet another unlawful, unjust, bloody and predatory war. In the next few days, the Syrian people will find themselves to be the recipients of ‘democracy’, ‘freedom’, ‘human rights’ and ‘rule of law’ delivered by cruise missiles and other deadly weapons, which are bound to cause tremendous loss of life and material damage. The pretext for this barbarous war is the alleged use of chemical weapons by the Syrian government against its own people – a charge that cannot withstand the slightest scrutiny. Why would the Syrian government use chemical weapons when its forces are inflicting decisive defeats on the bloodthirsty brutes unleashed by imperialism, just when a UN team is in the country investigating the use of these weapons, and that too in an area where the Syrian army is present in large numbers. Even the right-wing Zionist website WND expressed the view that the chemical attack was the work of the Syrian opposition forces. All the evidence points in the direction of imperialism staging a provocation, through the use by its proxies of sarin and other nerve gases, so as to provide imperialism with an excuse for going to war against Syria with the hope of saving the skin of its surrogates who are on the verge of a complete rout. spontaneously erupt in March 2011, but has actually been in preparation for at least a decade. broadcasting imperialism’s warmongering propaganda lies. 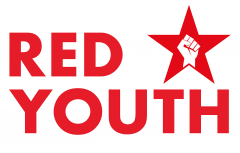 be a sheer fraud if, in their struggle against capital, the workers of Europe and America were not closely and completely united with hundreds upon hundreds of millions of ‘colonial’ slaves who are oppressed by capital” (Lenin, The Second Congress of the Communist International, 1920). correct stance, if they do not want their hands to be dripping with the blood of the Syrian people, just as will be the hands of the imperialists. Failure to do so, whatever their intentions, objectively puts them in the camp of imperialism. No cooperation with imperialism’s wars! Victory to the Syrian people led by the Ba’ath Party and its progressive allies! Death to imperialism and its Zionist and Arab stooges!